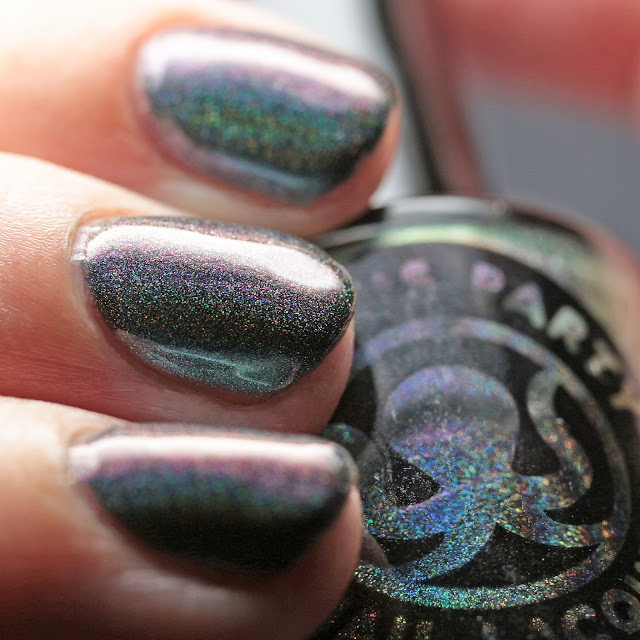 Octopus Party Nail Lacquer Banquet is a hunter-green-to-magenta multichrome shimmer with linear holo. 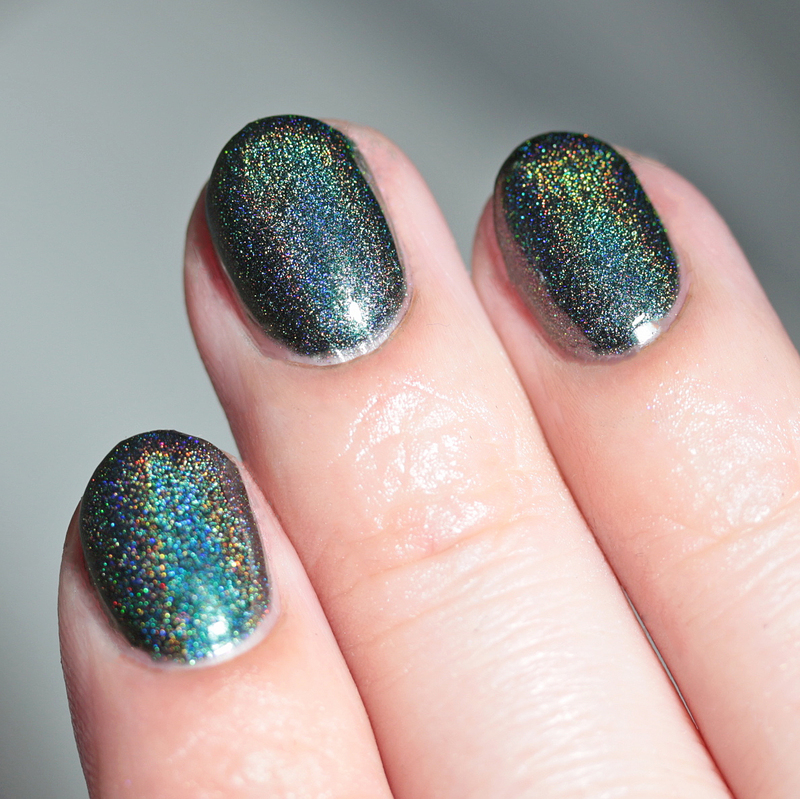 It covers in two or three thin coats and has a smooth formula. This one is stunning and I love the subtle hat tip to traditional Christmas green and red in one polish. 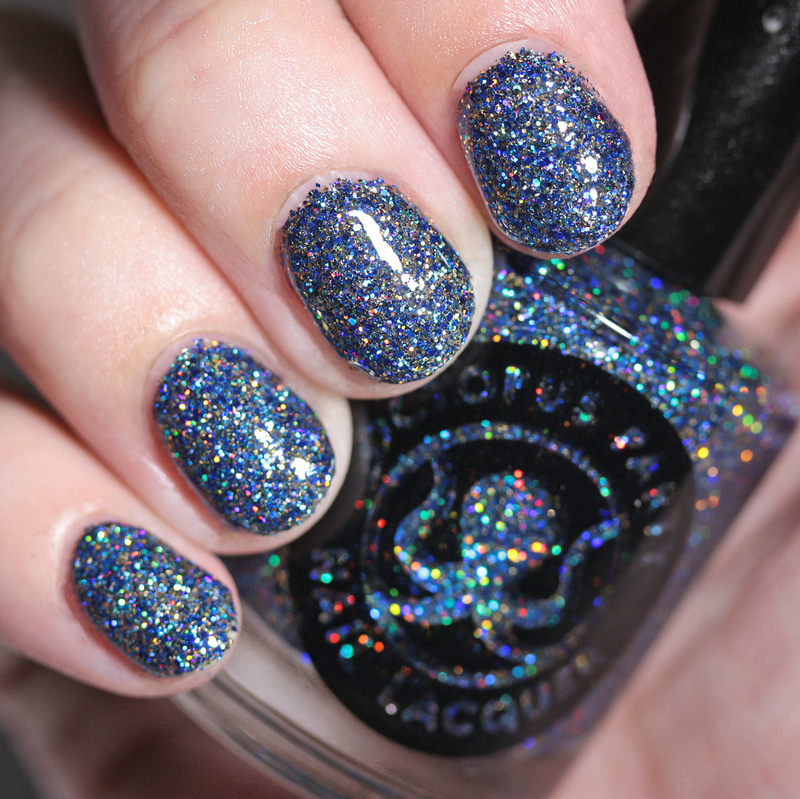 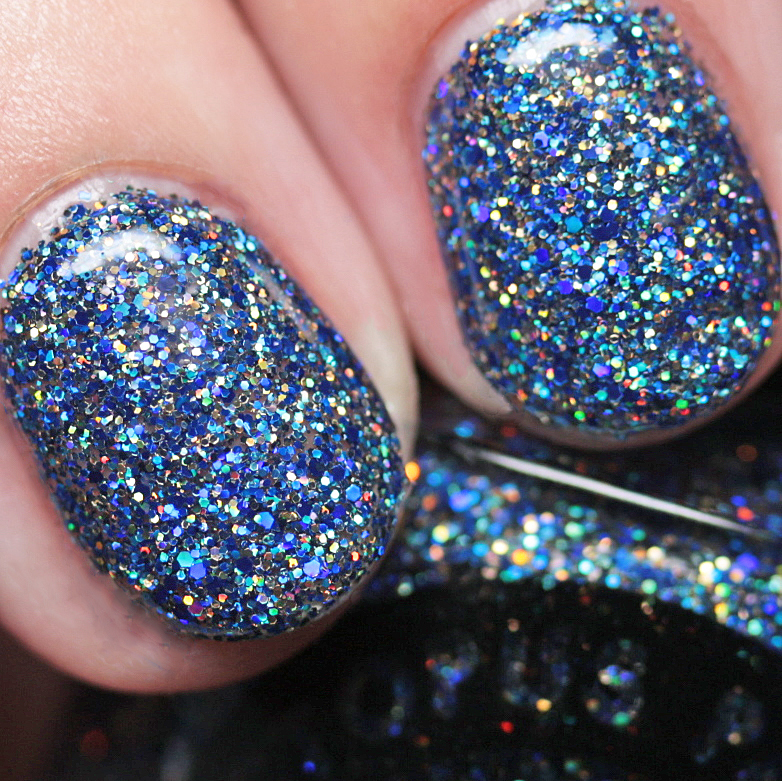 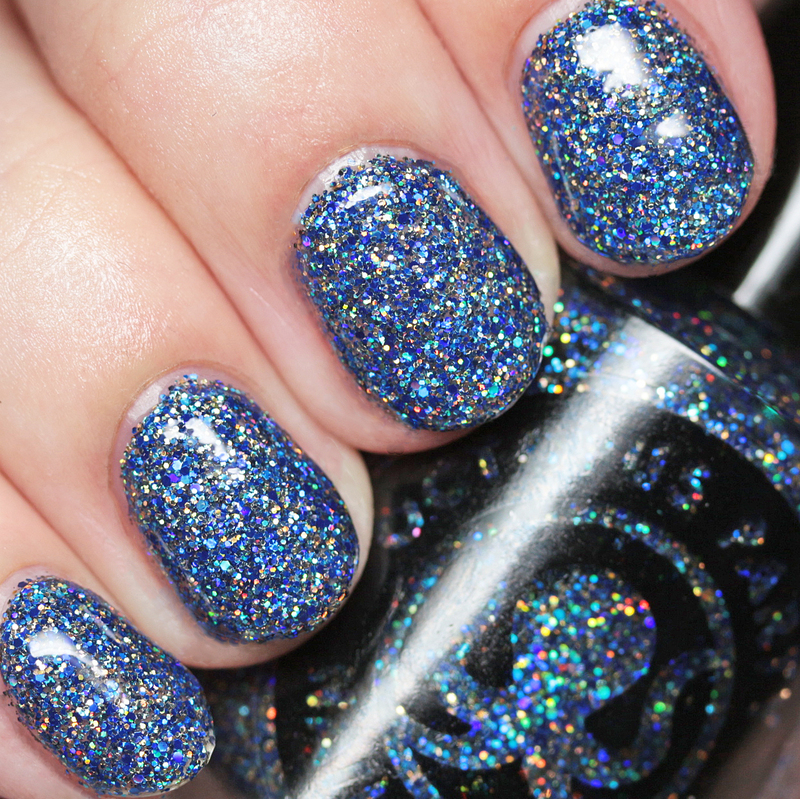 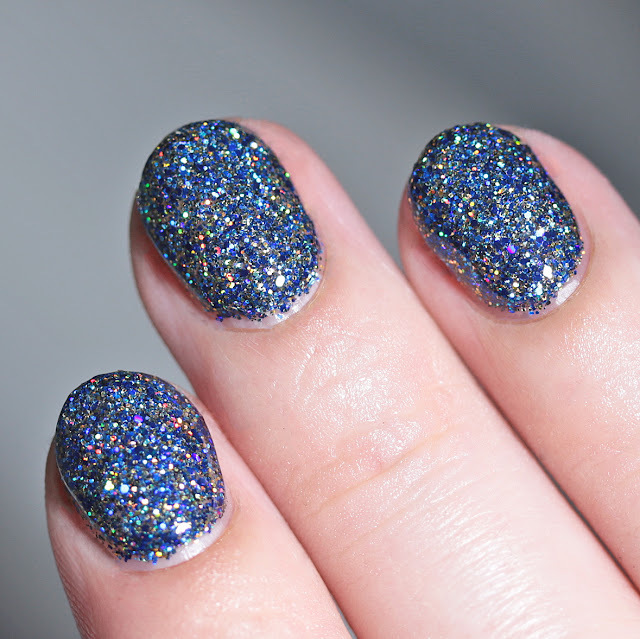 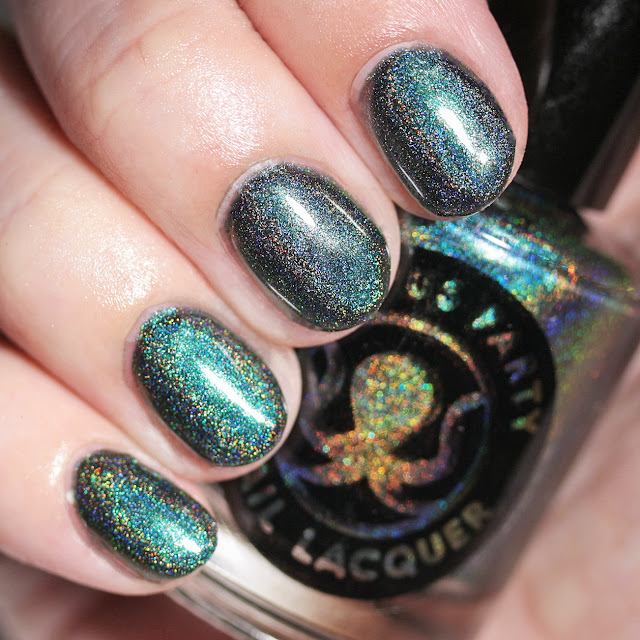 Octopus Party Nail Lacquer Phota is a blue, black, and gold holo microglitter in a clear base. 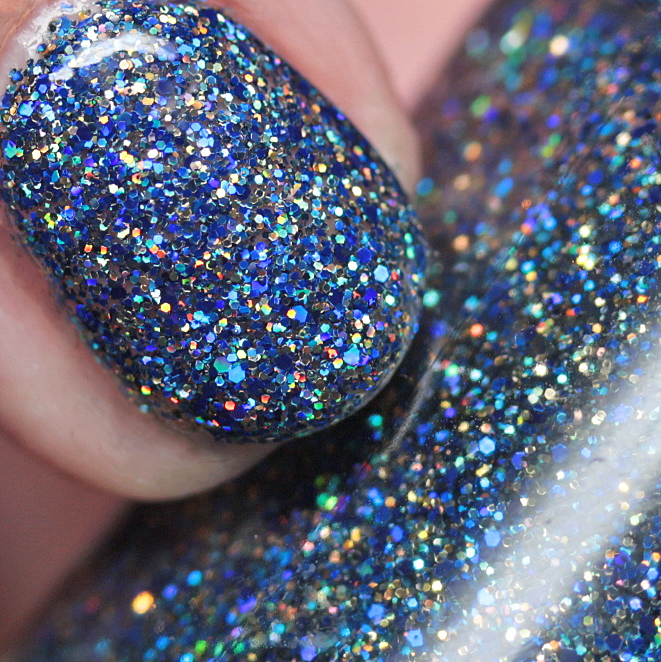 It covers in three or four coats, or you could use it as a topper in one. 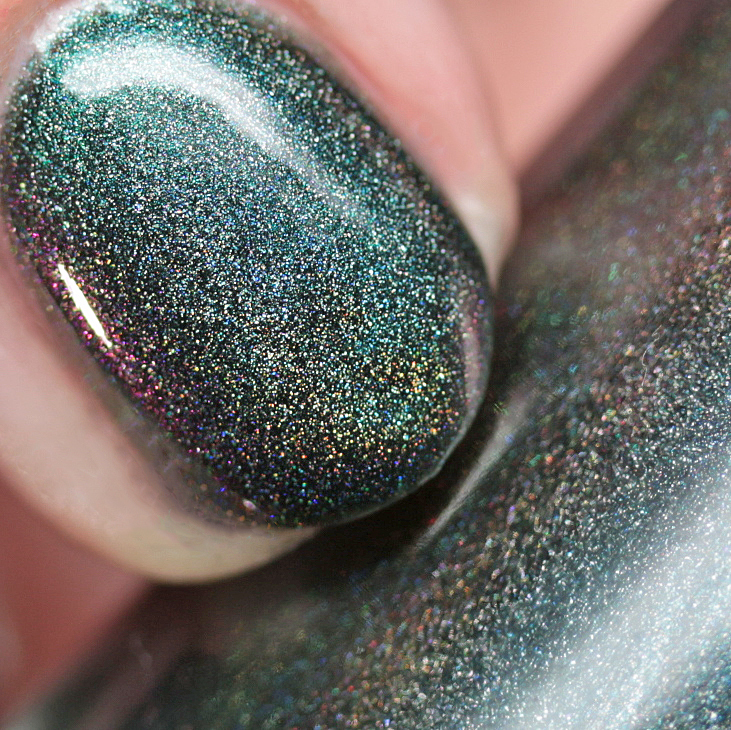 You will need top coat to get a smooth finish as shown. 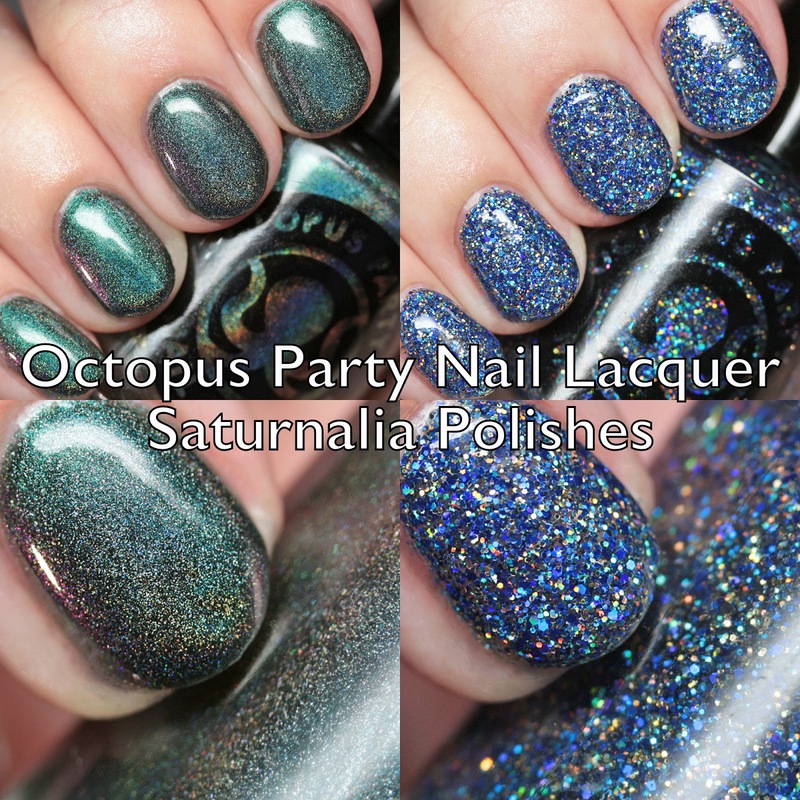 Octopus Party Nail Lacquer's Saturnalia Polishes release on Wednesday, December 20 at 9PM EST. 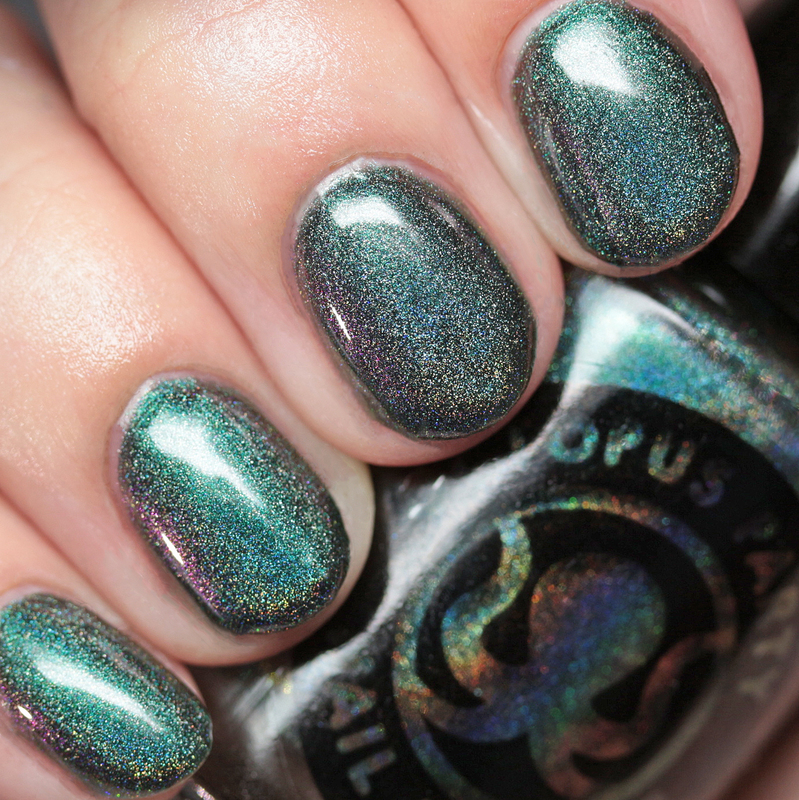 Are you ready to break some social norms, or at least pay mani homage to Roman times on your nails?